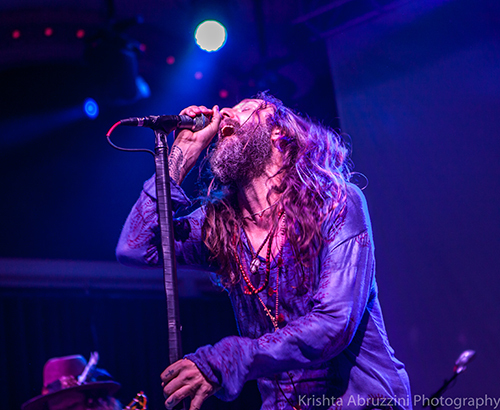 KNAC.COM - Reviews - AS THE CROW FLIES In Portland, OR With Photos! 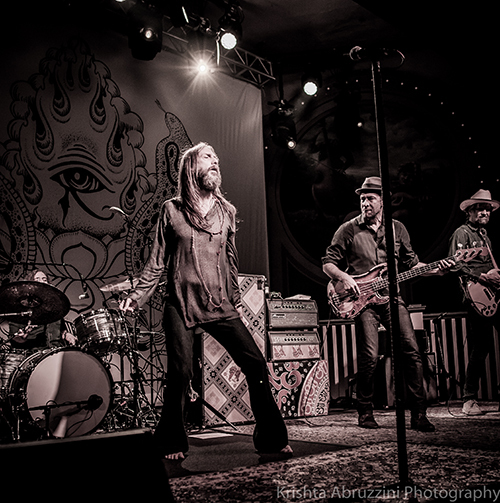 AS THE CROW FLIES In Portland, OR With Photos! 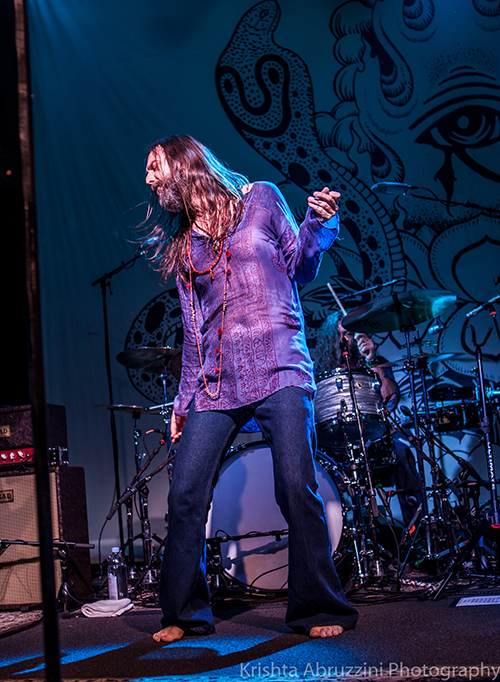 In the years since THE BLACK CROWES disbanded, frontman Chris Robinson has put all his energies toward CHRIS ROBINSON BROTHERHOOD [CRB, which he founded in 2010]. 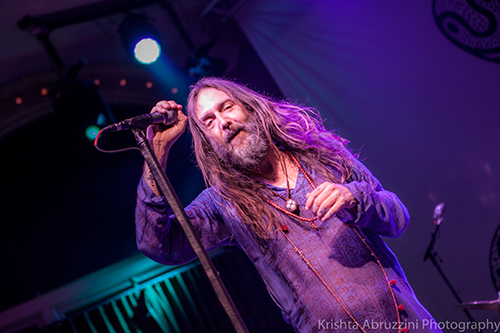 Robinson has, by design, stayed free and clear from performing any material from THE BLACK CROWES with CRB. The move makes sense, if you want to launch a new band and make a name for yourself, there has to be some level of separation. 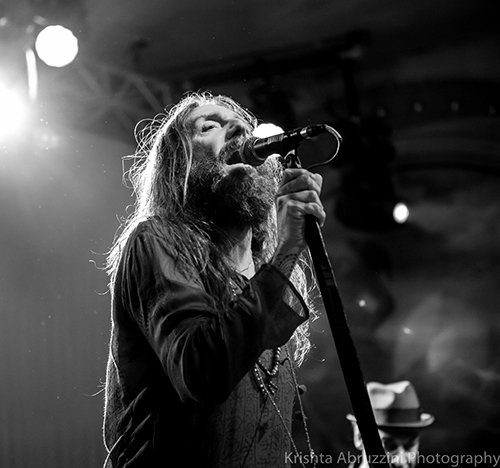 Robinson has towed the line, and has made a name for CRB in the ‘jam band’ community. 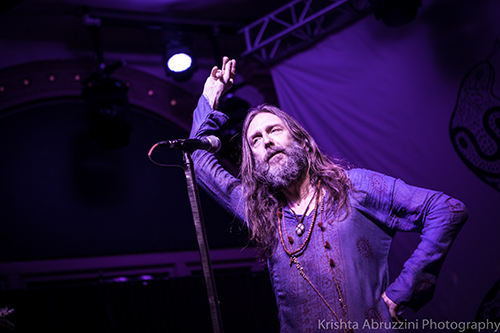 It was a bit surprising to see Robinson roll out North American tour dates for AS THE CROW FLIES, which focuses on material from THE BLACK CROWES. The feeling of shock immediately turned to elation, as a huge fan of the first four CROWES records. 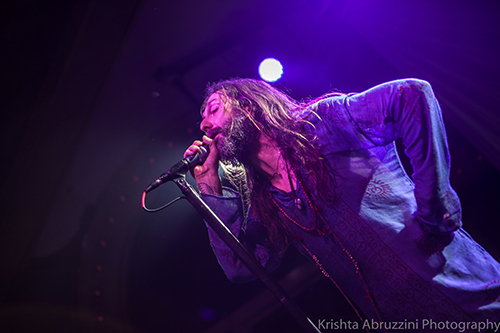 As you might well know Chris’ brother Rich [Robinson], has been keeping himself busy over the years with his own solo work and his band THE MAGPIE SALUTE [formed in 2016]. 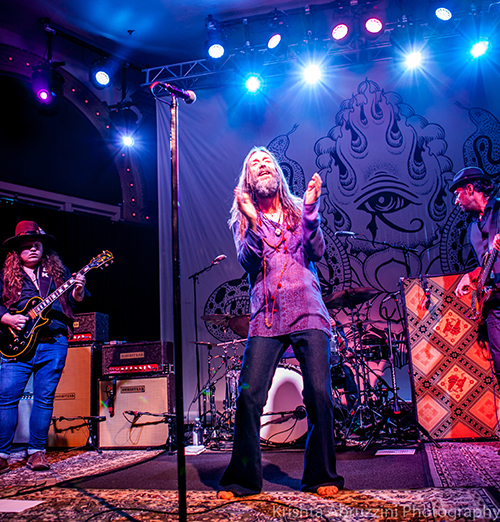 Rich has been performing the music of THE BLACK CROWES with THE MAGPIE SALUTE but let’s face the facts, Chris Robinson IS the voice you want to hear singing those songs. Just like you’d have to have Steven Tyler singing the AEROSMITH catalog or Mick Jagger singing THE ROLLING STONES catalog-- it’s just the way it is. 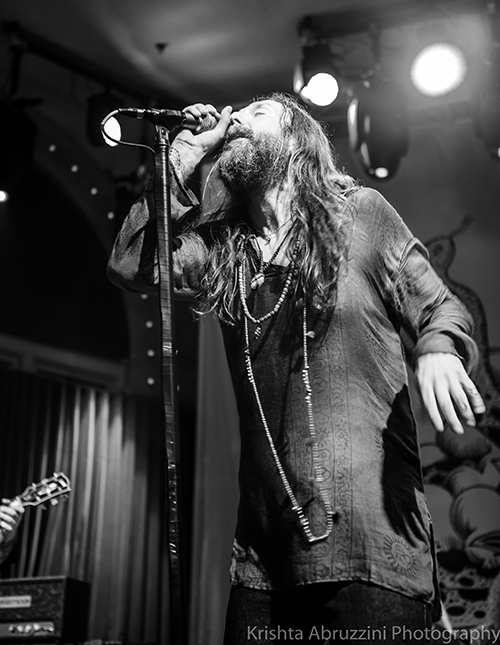 This brings us to the last stop of the AS THE CROW FLIES tour, in Portland, Oregon, where Robinson, the CROWES and CRB have a loyal following. The show sold-out by showtime, on a Sunday night and on Mother’s Day, no less! The energy in the room as the band kicked into “Remedy” was off the charts, Robinson jumped, strutted and danced throughout the song and through the entire 2+ hour set. 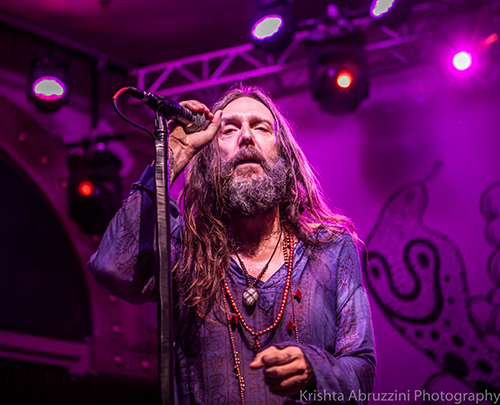 While most singers would have stepped off the stage to towel off, get a drink, get a smoke or just rest and catch their breath, Robinson didn’t do any of that. He was launched out of a cannon from start to end of the set and genuinely appeared happy to be there [on the stage]. The singer not only sounds as great as ever, but he has stayed in shape and has all the qualities of the rock star prototype. And the band? Well, they are just as enthused as their leader, they were full of energy, smiles from ear to ear and what chops! Most impressive was the ‘kid’ in the band, Mr. Marcus King, who is the antithesis of the ‘guitar hero’. He doesn’t look the part, he doesn’t dress the part, he just plays the part. King stood in place the majority of the night and blazed through lick after lick and solo after solo as he effortlessly moved his fingers on his instrument. King and guitarist Audley Freed [formerly of THE CRY OF LOVE] bookended Robinson on the left and right side of the stage respectively. 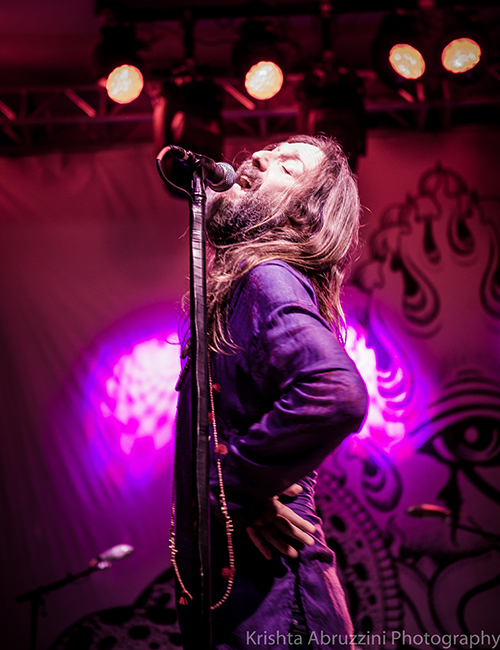 There were many CROWES hits in the set; “Remedy”, “She Talks To Angels”, "Hard To Handle”, “By Your Side”, “Sting Me” and “Jealous Again” alongside deeper cuts and covers. 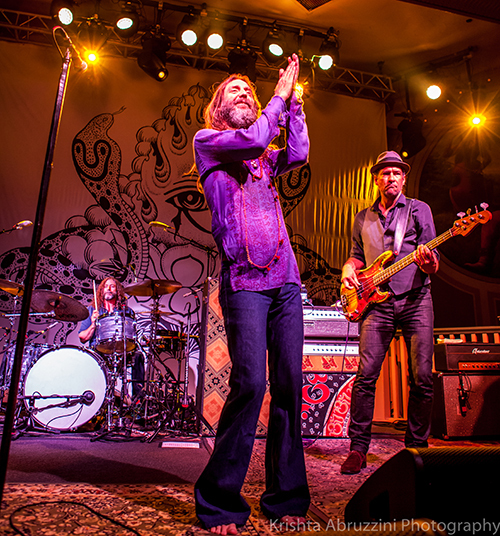 The set was balanced so that ‘die-hard’ and ‘casual’ CROWES fans alike could enjoy the show, and enjoy they did. Leave it to Robinson and Co to relapse into their ‘jam band’ tendencies and make a five and a half minute song like “Wiser Time” into a twenty minute blur. Ten minutes into it I began to take a tally of how many songs have been sacrificed to facilitate this act of overindulgence. I could have lived without hearing “Hard To Handle” in the set [though it was pretty damn cool how they wove in “Hush” and made that into a 10 minute epic]. It’s not a CROWES original. I would have replaced that with “Twice As Hard” instead and the addition of “Kickin’ My Heart Around” would have been glorious. 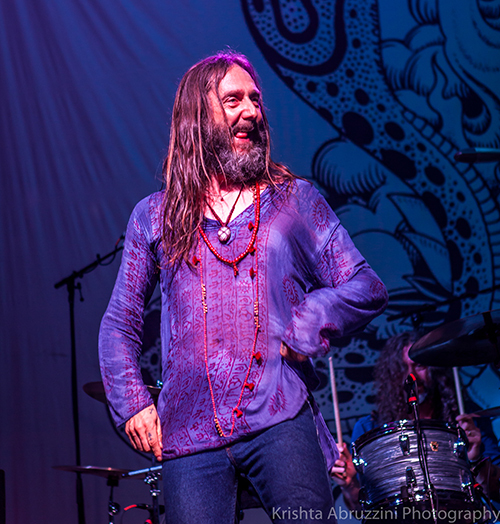 We can’t always get what we want, so let’s be grateful that we got what we got and hope that this is the beginning of a yearly venture for Chris Robinson and the guys in AS THE CROW FLIES. I for one would like to see that again, and again, and again.